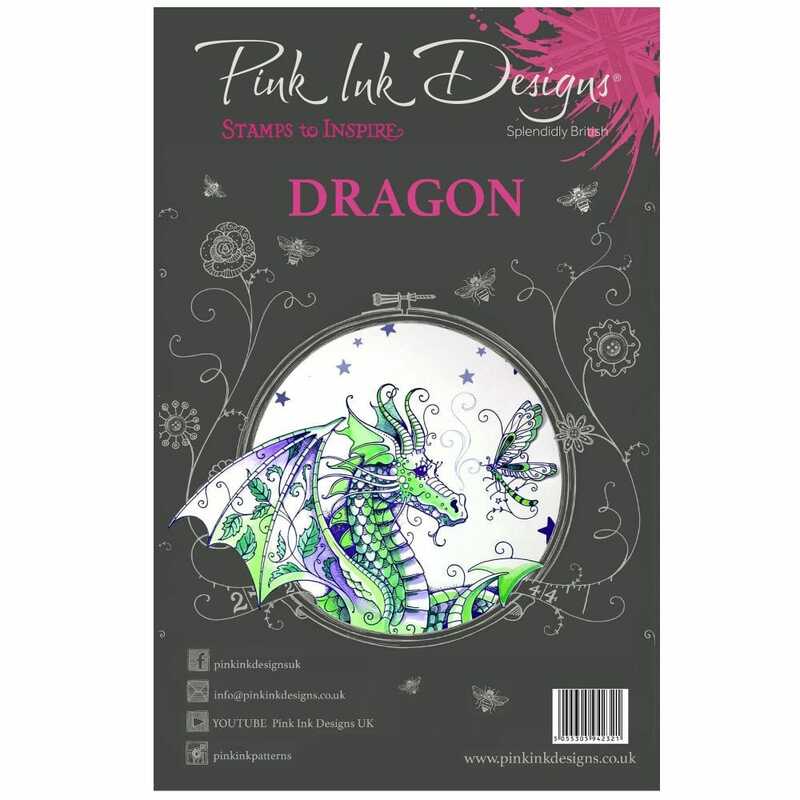 Pink Ink Designs, bring you our beautifully hand-drawn, Just Imagine Dragon stamp with extra elements. The design allows you to stamp your very own hive and bee scene, with additional wings to create a 3d element to your design. Use your stamp on card or fabric. We use Versacraft stamping ink for fabric projects, it is permanent when heat sealed with an iron, and can be used with a brush directly from your pallet as a watercolour.